MBA from ESADE. International Executive with a proven track record in designing, formulating and implementing strategies. He has considerable experience in finance, situations of change, and reorganization ventures, including mergers and acquisitions. 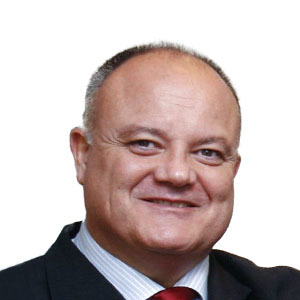 He has proven management skills in business development, financial structuring, information systems and operations. He currently holds the post of Executive Director of the New Trend Technology LLC Network, Los Angeles, CA. 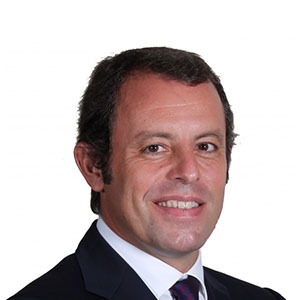 He is also a general partner of Black Lake Venture (Denver), a business acceleration enterprise in telecoms and media, and CEO of Sunbay AG (Zurich). The BMF represents an enormous contribution to society, founded on research into pathologies that affect the macula and also sight in general. With its research into new therapies and treatments, the Foundation is a source of hope for many people around the world. It is from this perspective of universal solidarity and international scientific challenge that I feel deeply involved in this exciting project. Doctor of Pharmacy from the Universitat de Barcelona. He is President of the international pharmaceutical chemical group Esteve and has combined this professional activity with his role as Chairman of the Board of Directors of the Banc de Sang i Teixits de Catalunya (BST) of the Catalan government’s Department of Health since 2003; he has also been chairman since 2009 of the Fundació Príncep de Girona, a global platform for the promotion of progress and talent through the support of young people. Aware of the degree of incapacity and suffering caused by diseases that affect the retina and the macula, for which no effective treatment exists, I attach capital importance to the commitment and work being done by the Barcelona Macula Foundation in the research and development of valuable and innovative therapies that up to today have represented important advances in the treatment of diseases of the retina and in the quality of life of patients. It furthermore contributes towards Barcelona continuing to be a worldwide reference point in the field of ophthalmology. A graduate in Public Relations. 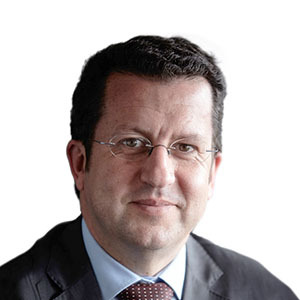 His career has been focused on directing public relations and communications in the Government of Catalonia and the Peralada Group. 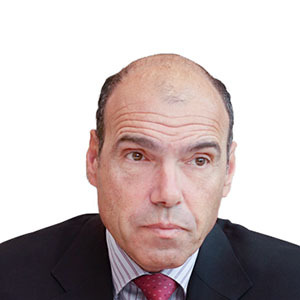 He is currently the Director of Government Affairs of Abertis and the Director of the Abertis Foundation. Mr. Loughney was an international rugby player for 15 years during which he was captain of the Spanish national team. To be able to collaborate in this project with Dr. Jordi Monés is synonymous with doing good for society now, but above all in the future. 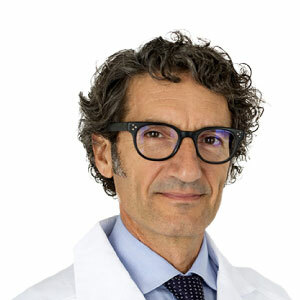 Dr. Jordi Monés, M.D., PhD, is an Ophthalmologist, Macula and Vitreoretinal Specialist and Researcher. He earned his PhD degree at the Universitat de Barcelona. 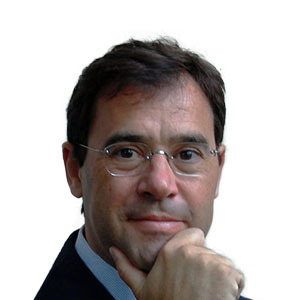 He is the Director, principal investigator and one of the founder governors of the Barcelona Macula Foundation, as well as Director of the Institut de la Màcula. 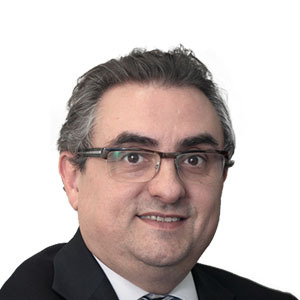 Joan Parra is a graduate in Chemical Sciences, a Doctor of Biochemistry and a Postgraduate in Business Management from the University of Barcelona and he completed the Management Development Programme at the IESE Business School. He was a professor of the Faculty of Medicine at the University of Barcelona. At present, he is the Managing Director of Leitat. Degree in Business Administration and MBA from ESADE. He spent his professional career in international sports marketing. He was vice-president of FC Barcelona for two years (2003-2005) and president of FC Barcelona (June 2010 – January 2014). My professional life revolves around two passions: sport (especially football), and my city, Barcelona. I have always been in contact with the world of sport and every day I see how players, clubs and companies of a certain relevance become involved in social causes that help make a better world. It is based on this background that I understand my participation in this exciting project that is the Barcelona Macula Foundation. A Foundation that sets itself an extraordinary scientific challenge in seeking to cure vision disorders, and even blindness, and does so with an international vocation from Barcelona, a city deeply committed to medicine, science and solidarity. Degree in law from the Universitat de Barcelona. Partner of the law firm Becerra Advocats. He taught for 15 years at the Faculty of Law of the CEU Abad Oliba University Foundation as Professor in the Department of Public Finance and Financial Law. He is Secretary of several Boards of Directors and the Board of several foundations, including the Barcelona Macula Foundation. Meeting Jordi Monés means becoming enthusiastic about his project to fight blindness and collaborating through the Foundation is an enriching experience.